Our company shares glorious credentials with the eminent Manufacturers, Suppliers and Exporter of Solvent Blue 78 from Maharashtra. 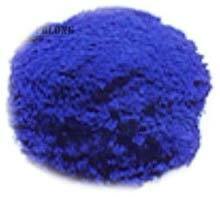 The Solvent Blue 78 we make available are used in automotive paints, lacquer paints, powder coatings, etc. We hold the expertise of delivering bulk orders of the Dyes within the promised timeframe.